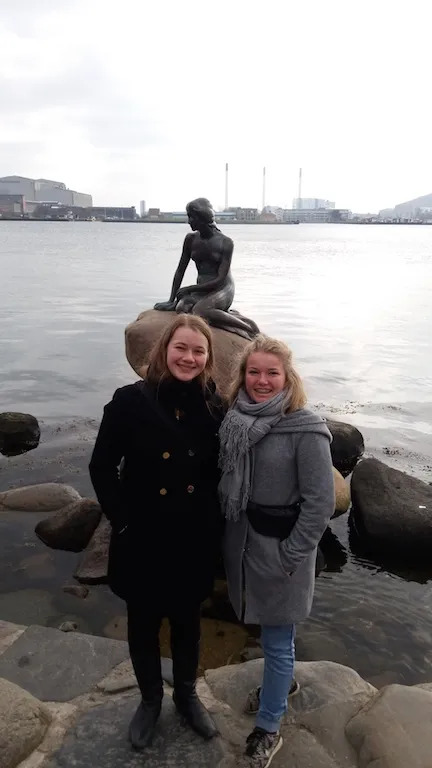 This article was written by Theresa Boyd, an AFS exchange student from New Zealand, studying abroad in Denmark. Theresa describes her expectations, observations and learnings about cultural differences, prejudice and the best way to overcome stereotypes — participating in an intercultural exchange program. I was born and raised in a city; a big, beautiful, multicultural city in a country a long way from anywhere. It was always easy for me to feel safe in Auckland. We’re not a target. I never felt afraid that my culture or country was at risk; never worried that my way of life, my language or my religion was under attack or any kind of threat at all. I have been unbelievably lucky. But it was always very easy, coming from that world, to condemn people who did not think like me. To assume that all the fear and prejudice we hear stems only from the stereotypical bigots; from the isolated, the ill-educated and the wilfully ignorant. I came to Denmark expecting to find people who thought like me and like the people I am surrounded by. People who understood the value of diversity. People who thought individuality was a good thing, who accepted and embraced other cultures and countries, and who looked at the prejudice and the hatred in the world right now and condemned the people who perpetuated it just as much as I did. Instead I found a people who are afraid. Over the three months I’ve been here, I’m gradually beginning to understand why, and it has helped me realise that prejudice can be spread just as easily by the respectable and well-educated as it can by the ignorant. I never thought the unashamedly ’socialist’ Denmark would help me understand right-wing Americans, but it has. These are not stupid people. That’s what shocked me. They aren’t ignorant. They aren’t isolated. But they do live in a country that has had a united monoculture for centuries and they are fiercely protective of it. That’s something I’ve never experienced. I am proud of my country as a uniting force for millions of people, but to the Danes Denmark represents more than that. It is shorthand for thousands of years of human culture, a unique language that everyone shares, a unique culture that is nearly ubiquitous, and a certain type of person. Living here among a largely homogenous population, it’s easy for people to spot outsiders, and it’s easy, with such a valued culture, to feel threatened by anyone who tries to introduce a new one. Coupled with that is the relentless influx of news from fellow European countries. I’ve only lived here three months, and already in that time London, Paris and Stockholm have all suffered terrorist attacks. It’s difficult to set that aside when the countries affected are within driving distance rather than on the other side of the world. But it’s even harder to be one of the many immigrants who have settled in Denmark. I can pass for a Dane if I don’t open my mouth, and even I have felt overwhelmed by a people who know so completely who they are. I’ve met people who are horrified that I combine yogurt and milk, who’ll look at me strangely for wearing any colour coat other than black and laugh at me for mispronouncing rødgrød med fløde. The country I live in has been variously dubbed Australia and Baby England. I can only imagine how much more difficult it would be for someone with much greater cultural differences to assimilate permanently while still preserving their own culture. There’s no easy solution to the tensions the world is facing today. I think it’s especially hard to counteract them when we can’t see what we are fighting against. Being in Denmark has helped me realise that part of the problem is communication. Denmark is a small country and it restricts itself to a very small world. All the media in Danish by necessity comes from Denmark, and most of the media in English comes from the US. It’s hard for many people to look outside that bubble and even harder for them to understand it. My school in Denmark has a thousand students, but I’m not exaggerating when I say that the 4 exchange students from 3 different countries make a significant difference to its diversity. In many countries across the world, a lot of the citizens both young and old have never been significantly exposed to any culture other than their own. Even in multicultural countries many people stick with social and family groups of similar upbringing, values and beliefs. So of course many people are afraid. They’re not used to people playing by different cultural norms. Just like when I first arrived in Denmark and thought passers-by hated me because they wouldn’t return my friendly smiles, misunderstandings happen easily. It’s not easy to understand different people’s standpoints or the values that underlie them. 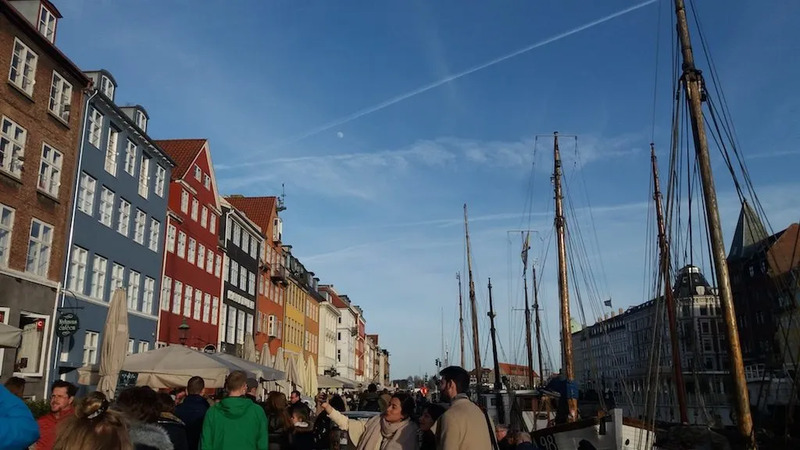 It took me a long time to realise that the Danes didn’t hate me, they just think it’s politer to mind your own business than to involve yourself in a stranger’s by making eye contact, and that still took several Danes explaining that to me to really get it. It’s easy to condemn – to say that they’re rude because they won’t smile, or they won’t ask how you are, or they won’t say please, or they never ever censor anything. It’s a lot harder and much more valuable to try and work out what the underlying culture is that dictates those appearances. It can be as simple as the fact that the word please doesn’t exist in the Danish language, so even when they speak English they often forget to use it. Why it doesn’t exist is another fascinating cultural question, but I digress. In my belief, much of the value of exchanges comes from communication and exposure. By entering new countries, by becoming students just like any others, we exchange students not only learn about our own culture, but we also have the chance to discuss our culture with others and expose them to new ways of thinking. Maybe it’s only small steps. But I still think it’s valuable when my classmates start discussing how a short film can be interpreted in different ways from New Zealand and Danish cultural perspectives. We have a unique opportunity as exchange students. We have no family of our own culture to hide behind; no students just like us to stick with in our own little groups at school. The beauty and the terror of the thing is that it is impossible to isolate ourselves. We have to talk. We have to share our culture, and receive the richness of another culture in return. We have to learn and we have to teach. There is too much fear of other cultures these days. We know enough to know that other people are different, and not quite enough to know that deep down we are all the same. You can rationalise away prejudice. You can stave it off by making people feel guilty for supporting it or self-righteous for being against it. But I truly believe that the one thing that is most effective at getting the ordinary person to step out of their comfort bubble is by meeting people with different cultures, values, and beliefs, and learning to understand them anyway. That’s what exchange offers, both for the student and for everyone they meet. A chance to realise that, in general, people are not better and they’re not worse. They’re just different. And that’s okay.